Saint Luke is one of the most significant saints in the Church; his Feast is held today. As a Greek medical doctor from Antioch, schooled in Greek medicine, art and philosophy, his background was quite different from the many Jewish peasants and fisherman whom Christ called to serve. Saint Luke was a witness to Christ’s Resurrection on the road to Emmaus (Luke 24.13) , and became a constant companion to Saint Paul the Evangelist in his extensive travels. It is hard to imagine a more “odd couple” to work together as evangelists for so many years, one formerly a Pharisee, the other an affluent Greek physician, but obviously their talents were complementary and they were very effective at spreading the faith amongst both Jews and Gentiles throughout the Roman Empire. He is attributed as being the first iconographer, painting under the direction of the Virgin Mary. He is most widely known as the author of the Gospel of Saint Luke and the Acts of the Apostles. Icons of the saint usually show him as a well-dressed professional gentleman in Greek garb, carrying a copy of the Holy Gospel. The Holy Disciple and Evangelist Luke, was a native of Syrian Antioch, a Disciple from amongst the Seventy, a companion of the holy Apostle Paul (Phil. 1: 24, 2 Tim. 4: 10-11), and a physician enlightened in the Greek medical arts. Hearing about Christ, Luke arrived in Palestine and here he fervently accepted the preaching of salvation from the Lord Himself. Included amidst the number of the Seventy Disciples, Saint Luke was sent by the Lord with the others for the first preaching about the Kingdom of Heaven while yet during the earthly life of the Saviour (Lk. 10: 1-3). After the Resurrection, the Lord Jesus Christ appeared to Saints Luke and Cleopas on the road to Emmaus. The Disciple Luke took part in the second missionary journey of the Apostle Paul, and from that time they were inseparable. At a point when all his co-workers had left the Apostle Paul, the Disciple Luke stayed on with him to tackle all the toiling of pious deeds (2 Tim. 4: 10-11). After the martyr’s death of the First-Ranked Apostles Peter and Paul, Saint Luke left Rome to preach in Achaeia, Libya, Egypt and the Thebaid. In the city of Thebes he finished his life in martyrdom. Tradition ascribes to him the writing of the first icons of the Mother of God. “Let the grace of He born of Me and My mercy be with these icons”, – said the All-Pure Virgin in beholding the icons. Saint Luke painted likewise icons of the First-Ranked Apostles Peter and Paul. His Gospel was written by Saint Luke in the years 62-63 at Rome, under the guidance of the Apostle Paul. Saint Luke in the preliminary verses (1: 3) spells out exactly the aim of his work: he recorded in greater detail the chronological course of events in the framework of everything known by Christians about Jesus Christ and His teachings, and by doing so he provided a firmer historical basis of Christian hope (1: 4). He carefully investigated the facts, and made generous use of the oral tradition of the Church and of what the All-Pure Virgin Mary Herself had told him (2: 19, 51). In the theological content of the Gospel of Luke there stands out first of all the teaching about the universal salvation effected by the Lord Jesus Christ, and about the universal significance of the preaching of the Gospel [Lat. “evangelum” with Grk. root “eu-angelos” both mean “good-news”]. The holy disciple likewise wrote in the years 62-63 at Rome, the Book of the Acts of the Holy Apostles. The Acts, which is a continuation of the Four Gospels, speaks about the works and effects of the holy Apostles after the Ascension of the Saviour. At the centre of the narrative – is the Council of the holy Apostles at Jerusalem (year 51 A.D.), a Church event of great critical significance, with a dogmatic basis for the distancing of Christianity from Judaism and its independent dispersion into the world (Acts 15: 6-29). The theological objective of the Book of Acts is that of the Dispensation-Economy of the Holy Spirit, actualised in the Church founded by the Lord Jesus Christ, from the time of the Ascension and Pentecost to the Second Coming of Christ. 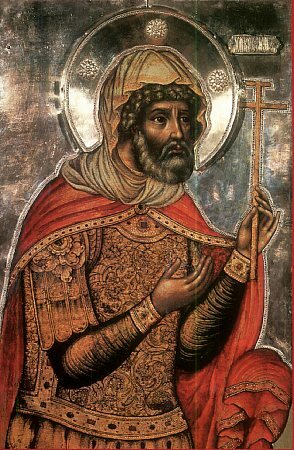 The Holy Martyr Longinus the Centurion, a Roman soldier, saw service in Judea under the command of the procurator, Pontius Pilate. During the time of the execution of the Saviour it was the detachment of soldiers under the command of Longinus, which stood watch around Golgotha, at the very foot of the holy Cross. Longinus and his soldiers were eye-witnesses of the final moments of the earthly life of the Lord, and of the great and awesome portents that appeared at His death. These events jolted the soul of the soldier. Longinus believed then in Christ and before everyone confessed that, “in truth – this was the Son of God” (Mt. 27: 54). (according to Church tradition, Longinus was that soldier, who with a spear pierced the side of the Crucified Saviour, and from the outflowing of blood and water received healing from an eye affliction). After the Crucifixion and Burial of the Saviour, Longinus with his company stood watch at the Sepulchre of the Lord. Here the soldiers were given to behold the All-Radiant Resurrection of Christ. The Jews persuaded them with a bribe to bear false witness that His disciples had stolen away the Body of Christ, but Longinus and two of his comrades refused to be seduced by the Jewish gold. Having believed in the Saviour, the soldiers accepted Baptism from the apostles and decided to forsake military service. Longinus quit Judea and set out preaching about Christ Jesus the Son of God in his native land, in Cappadocia. His two comrades also followed after him. The fiery words of actual participants of the great occurrences in Judea swayed the hearts and minds of the Cappadocians; Christianity began quickly to spread about in the city and the surrounding villages. Having learned of this, the Jewish elders persuaded Pilate to dispatch a company of soldiers to Cappadocia, to kill Longinus and his comrades. The dispatched company of soldiers arrived in the native village of Longinus; the former centurion himself came out to meet the soldiers and took them to his home. After a meal, the soldiers told about the purpose of their arrival, not knowing – that the master of the house – was that very selfsame man, whom they were seeking. Then Longinus and his fellows identified themselves and asked the surprised soldiers, unperturbedly, to do their duty of military service. The soldiers wanted to set free the saints and advised them to flee, but the saints refused to do this, shewing firmness of will to accept suffering for Christ. The holy martyrs were beheaded, and their bodies were buried there where the saints made their final witness, and the cut-off heads were sent on to Pilate. Pilate gave orders to cast the martyrs on the trash-heap outside the city walls. After a certain while a certain blind woman arrived in Jerusalem to pray at the holy places. Saint Longinus appeared to her in a dream and said, that she should find his head and bury it. They led the blind woman to the rubbish heap. Having touched the head of the martyr, the woman was granted sight to her eyes. She reverently conveyed the venerable head to Cappadocia and there gave it burial. A concise and accurate summary of the Schism between the Eastern and Western Church in the Middle Ages. The Feast in Honour of the Chiton (Tunic) of the Lord and the Life-Giving Pillar is the temple feast of the Mtskheta patriarchal cathedral in honour of the Twelve Holy Apostles, named the Svetitskhoveli ((სვეტიცხოვლის, which in translation means “Life-Giving Pillar”). According to the tradition of the Georgian Church, the Chiton (Greek word, in Latin “Tunic”) of the Lord – the seamless garment of the Saviour (Jn. 19: 23) – came to the ancient capital city of Georgia, Mtskheta, in the following manner. 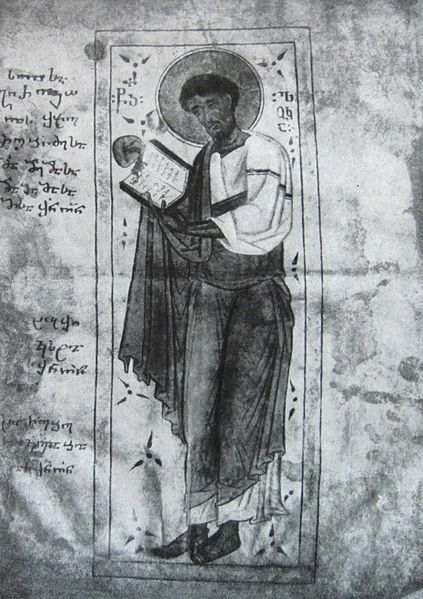 Eleazar (or Elioz), rabbi of the Mtskheta community of Jews, had resettled to Georgia from Jerusalem already by the year 70 A.D. Having received news from the Jerusalem high-priest Annas about the impending execution of Christ, he hastened to Jerusalem in the company of Longinus Carsnitus [or “carsnifex”, the Latin meaning “executioner”]. They became eye-witnesses to the Passion of the Lord and the casting of lots for His garment (Jn. 19: 23-24; Ps. 21 : 18). At the moment when the All-Pure Body of the Lord was nailed to the Cross, the mother of Elioz, situated in Mtskheta, sensed the blows of the hammer in her heart and shuddered out of great fright. Having related to her daughter Sidonia about the crucifixion sufferings of the Saviour, guiltlessly given over unto death, the mother of Elioz then died. Elioz then acquired the Chiton from the soldier who by lots had won it, and he took it with him to Mtskheta. Sidonia, meeting her brother Elioz in tears, told him about the death of their mother and her words just before her death. Elioz confirmed the words of their mother and he showed his sister the Chiton (Tunic) of the Lord. Taking hold the Chiton, Righteous Sidonia kissed it all over, pressed it to her bosom and herewith fell down lifeless. No one, not even the emperor Aderk (2 B.C.-55 A.D.) was able to open the grasp of Sidonia nor take from her the Chiton. Righteous Sidonia (Comm. 1 October) was secretly consigned to earth by her brother Elioz in the imperial garden at Mtskheta. The holy Saint Nino, Equal-to-the-Apostle, stold about this to the Kartalin Hebrew highpriest Aviathar – a descendent of rabbi Elioz. He came to believe in Christ, having listened to the explanation by Saint Nino of the ancient prophecies concerning the Messiah, and how these prophecies were fulfilled in the Lord Jesus Christ. The Georgian king Mirian (265-342) was also converted by holy Equal-to-the-Apostles Saint Nino, and he decided to build a Christian church on the spot whereupon the Chiton of the Lord was situated. A massive cedar tree had grown on the grave of Sidonia, which they sawed, and wanted to use its truck as a foundation pillar for supporting the main cupola of the church, but they were not able to raise it upright. 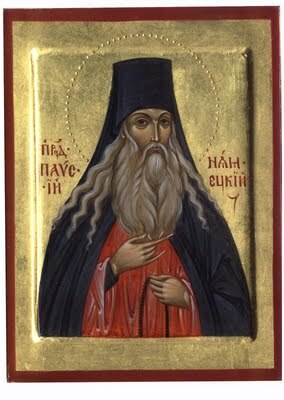 Saint Nino prayed all night for Divine help. and visions were manifest to her, in which were revealed the historical courses of destiny of Georgia. At dawn an Angel of the Lord approached the pillar and raised it in the air. The pillar, shining with a wondrous light, was elevated and then lowered in the air, until it was set over its base. From the stump of the cedar issued a fragrant myrh. Thus the Angel of the Lord indicated the place, where the Chiton (Tunic) of the Lord was concealed in the ground. This event, witnessed to by many of the inhabitants of Mtskheta, is depicted on the icon, “Glorification of the Georgian Church”. Afterwards at the place of the wooden church was erected the majestic stone cathedral of Svetitskhoveli. The Life-Giving Pillar, from which occurred many healings, has at present a stone four-cornered covering and is crowned by a light-loft, not touching the arch of the cathedral. The Pillar is positioned in the Sveti-Tskhoveli cathedral with a model alongside of the Church of the Sepulchre of the Lord at Jerusalem. As is well known, the Georgian Church is a strong promoter of environmentally sound land use, and the Church has promoted Organic Farming techniques for many years. Presently, there is a trend in winemaking towards Biodynamic methodologies; while promoting itself as “More organic than Organic”, the occult roots of the practice are disturbing. Consumers should be aware of how their food and drink is made, and Christian vineyard operators should resist pressure to engage in practices contrary to their beliefs. 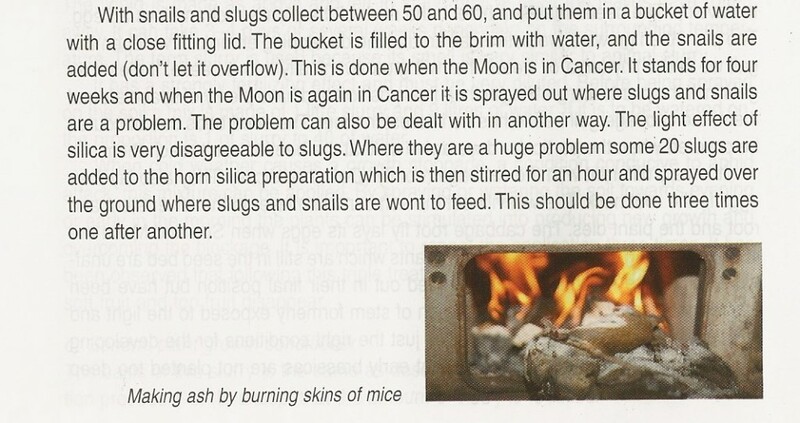 Only if you discount the ritual slaughter and incineration of animals. In contrast, the philosophy of Biodynamic farming is driven by concerns of working with the spirit world and life forces in order to produce food with good karma. If it has good environmental consequences then it is accidental. Naturally, this barmpottery has been embraced with gusto by Prince Charles at his Highgrove estate and Home Farm. 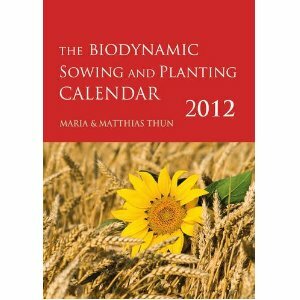 Biodynamics was also embraced at Dachau during the Second World War. Indeed, the academic, Peter Staudenmaier, has written about how Steiner’s environmental beliefs were not some kind of humanist worldview, but were actually blatantly racist and ”suitable only for a spiritually enlightened elite”. Anthroposophy, according to Staudenmaier, “had a powerful practical influence on the so-called “green wing” of German fascism”, and that the “mix of mysticism, romanticism, and pseudo-environmentalist concerns propagated by Steiner brought anthroposophy into close ideological contact with a grouping that has been described as the green wing of National Socialism”. From Alexis Trader’s very interesting blog on the interaction between Eastern Christian teachings and modern cognitive therapy. Given the stressful time many in Georgia have been through, and an uncertain year to come, this ancient remedy for despondency is worth reading.